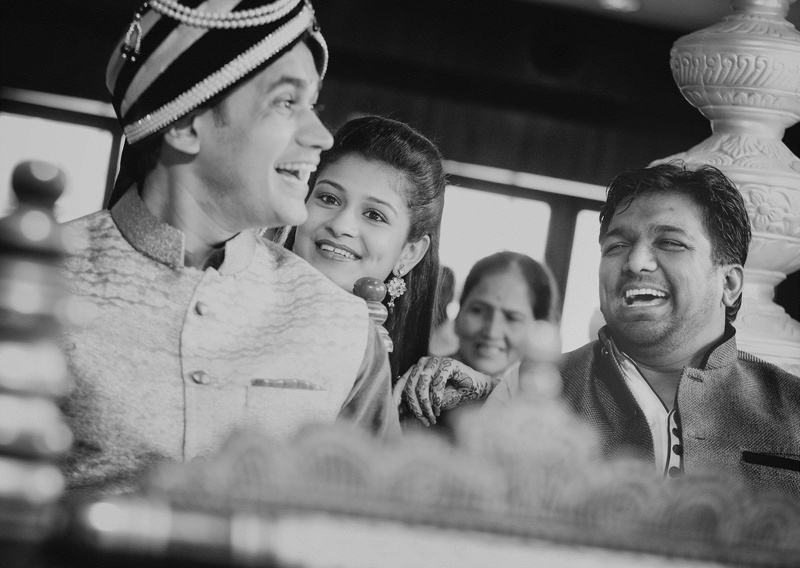 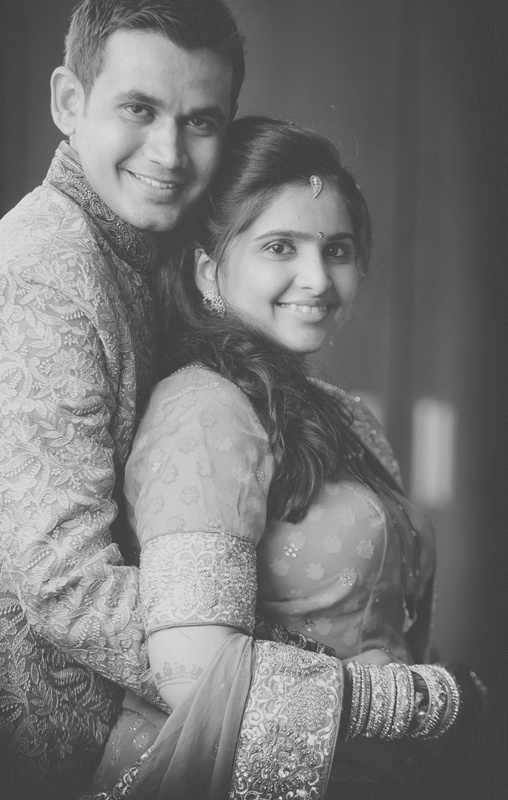 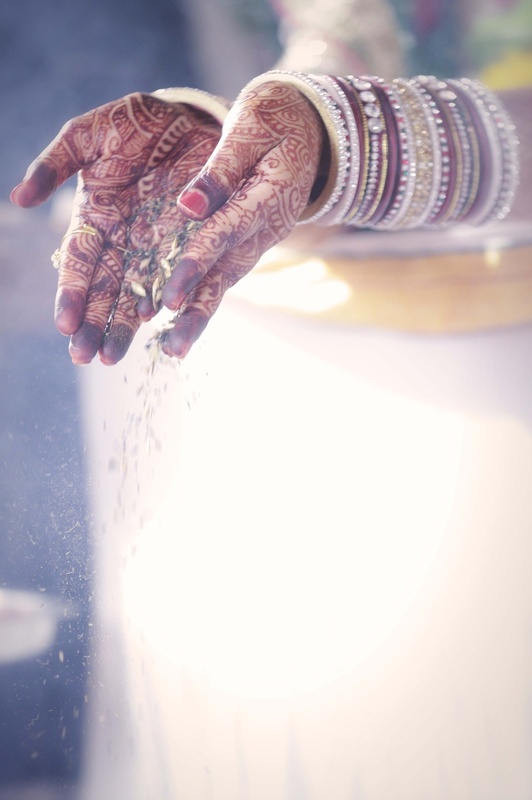 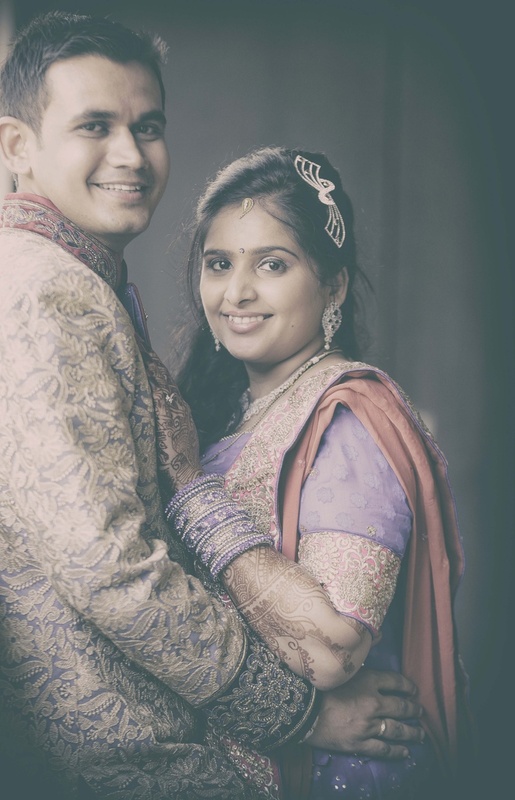 Mansi and Nikesh’s marriage beautifully spoke the language of simplicity. 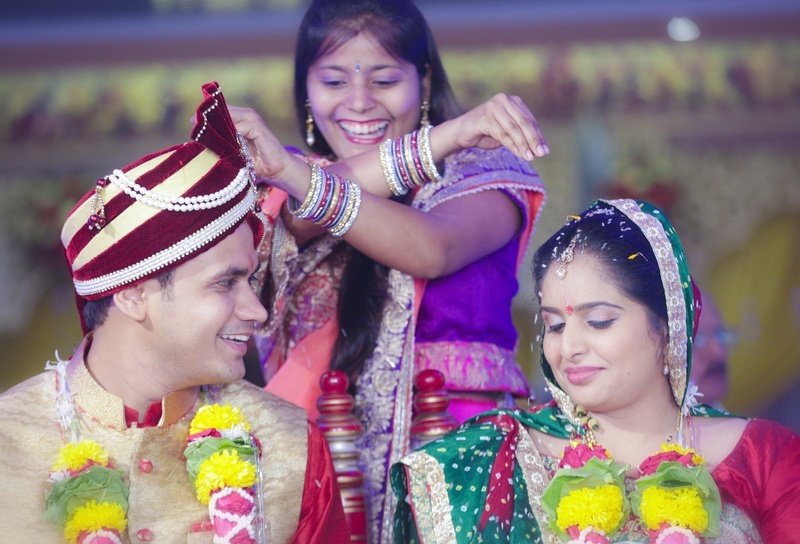 The traditional wedding was held indoors at Balaji Banquets, Mumbai and was celebrated in the presence of only a few family members, friends and relatives. 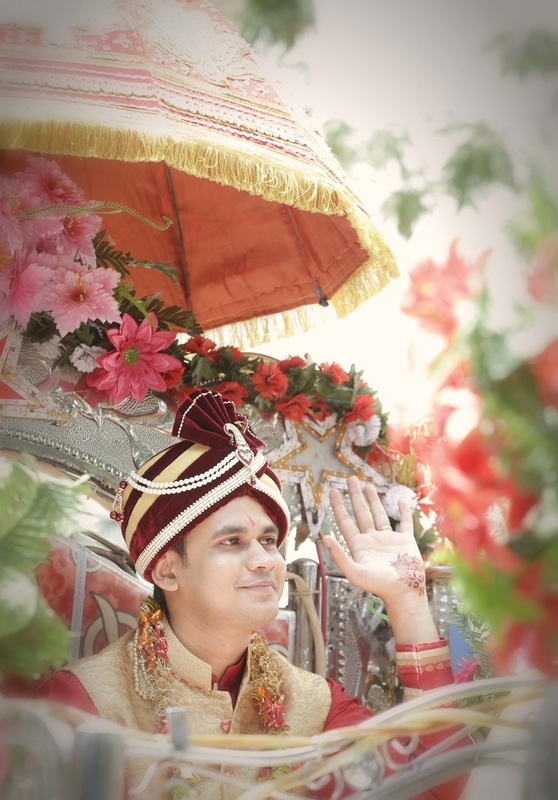 Sitting on a floral decorated horse carriage, Nikesh waved his hands to the ladkiwalas with a smile on his face. 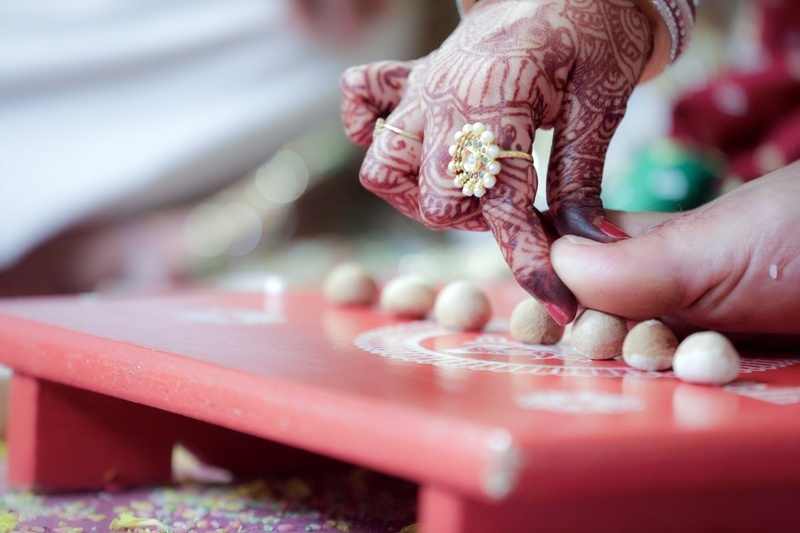 He had a small pattern of mehendi on the palm of his hands and was dressed in an ethnic wedding wear. 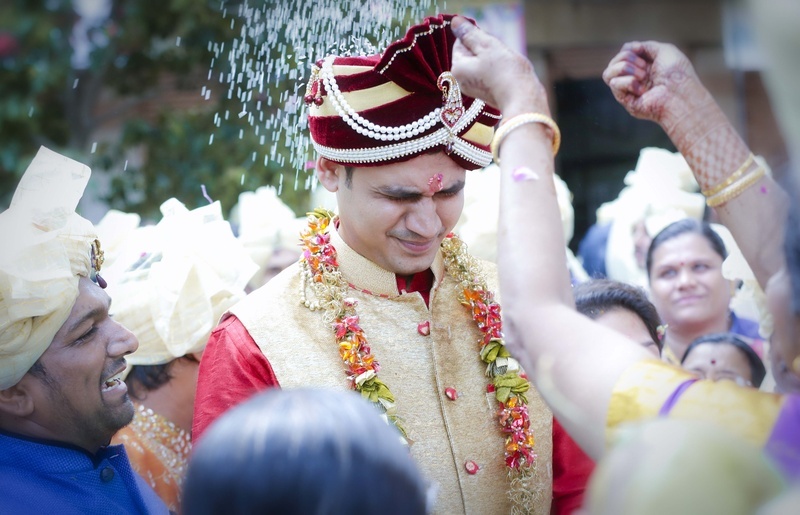 The groom’s maroon safa had impressive embellishments of pearls and was made of rich velvet. 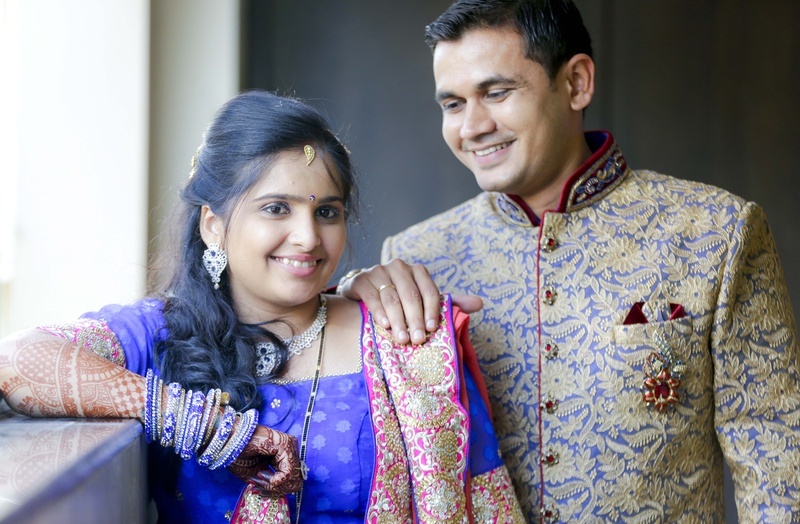 All the grooms out there, how about wearing a stylish jacket on your traditional outfit just like Nikesh and giving your ethnic attire a modern look. 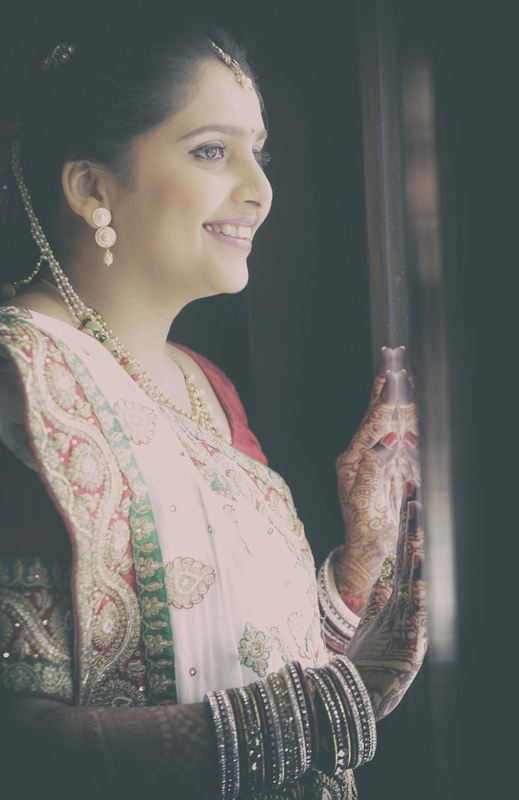 Mansi’s traditional bridal saree featured a silk red blouse with an embroidered border. 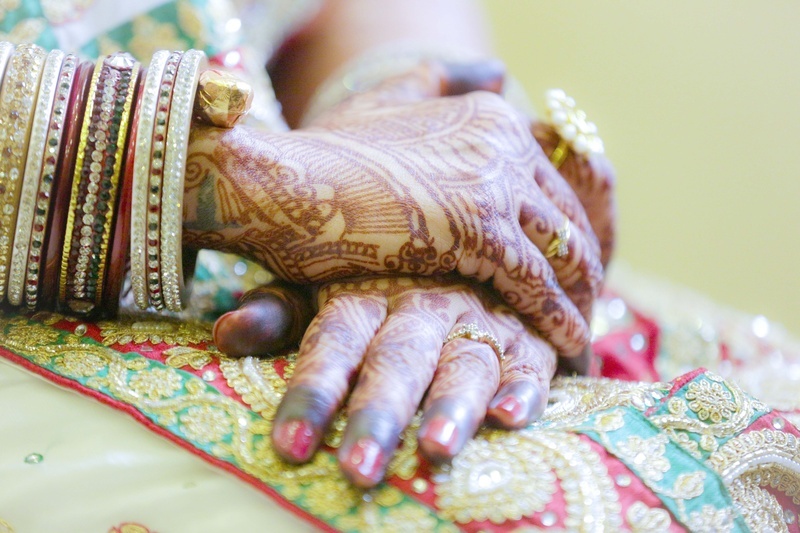 Her bridal mehendi design was inspired from the Rajwadas. 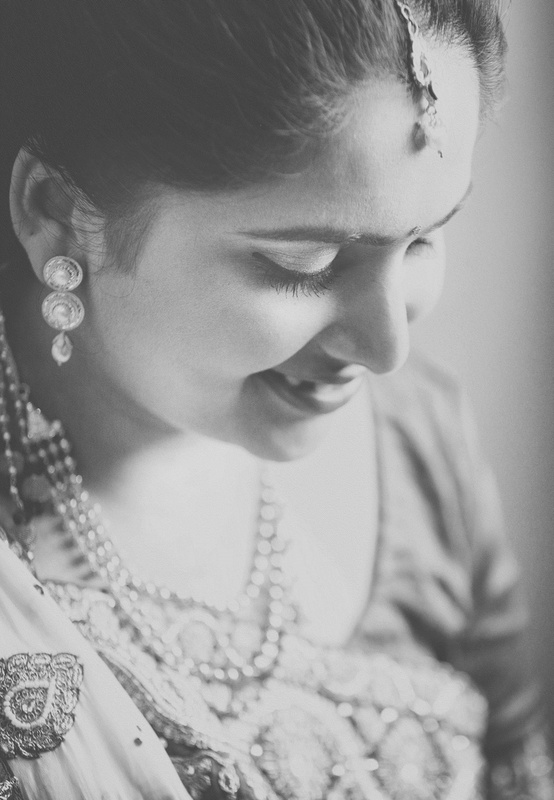 She adorned light and simple make-up and wore delicate traditional bridal jewellery. 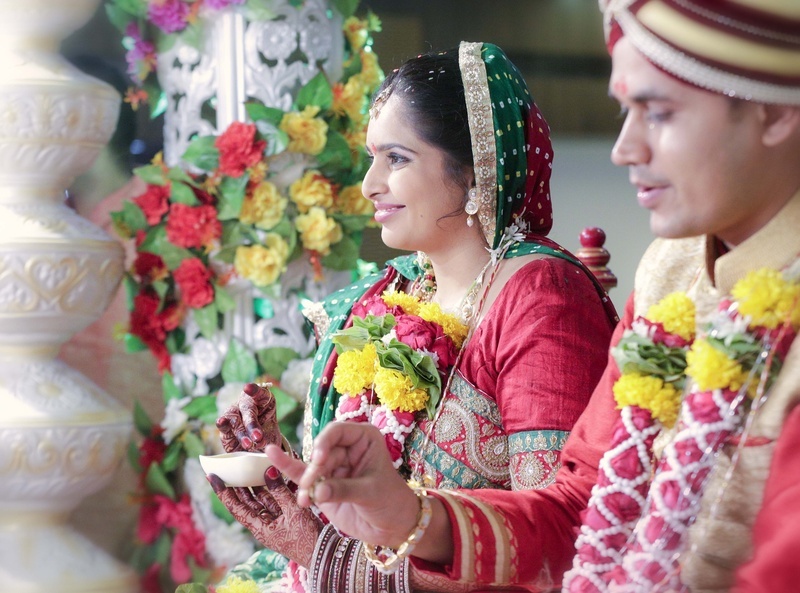 They exchanged garlands in a wedding mandap that had white pillars and attractive pottery arrangements.